Just one year ago, Beto O’Rourke was the 2nd largest recipient of Oil & Gas campaign cash in the entire country. As recently as 2012, O’Rourke preached fiscal sanity, saying that the US had an “extravagant government” that required “significant” spending cuts. He said that debt was “out of control.” He wanted to cut spending and balance the budget. 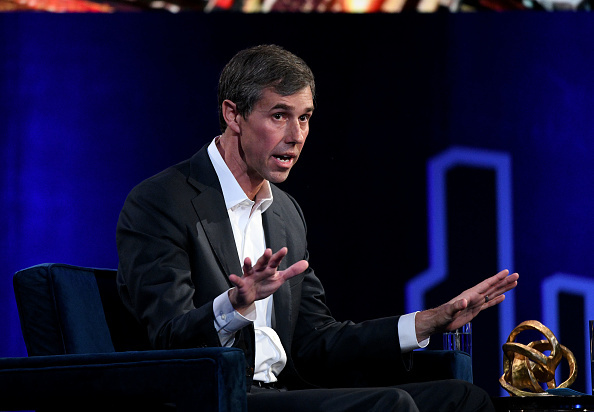 Before jumping into the 2020 presidential race, Beto declared that he was “supportive of the concept” of the Green New Deal. Then, he went further, calling it the “best proposal” he has seen. He’s talking here about Alexandria Ocasio-Cortez, the mastermind behind the Green New Deal. But are the people behind the plan “right on the money” as he claims? Hardly. Just this weekend, Ocasio-Cortez made another massive historical flub, incorrectly arguing that Republicans amended the Constitution to remove President Franklin Delano Roosevelt from office. (FDR was dead by the time the amendment was ratified). Is it any surprise that the Green New Deal makes no sense as a policy, and that it would bankrupt our nation and decimate our stable energy grid? After getting to know the authors, it shouldn’t be.